The Asian Human Rights Commission (AHRC) has received information regarding the abuse experienced by a 23-year-old Indonesian domestic worker in Hong Kong. The victim, Erwiana, was allegedly assaulted by her employer during her eight month stay in Hong Kong. She did not receive any salary for the eight months in which she worked and was only given HKD 100 when her employer quietly sent her back to Indonesia. Sring Atin reported that Erwiana was subjected to daily assault by her employer during her stay in Hong Kong. She had been beaten with various objects – among others, a vacuum cleaner pipe and clothes hangers – and struck on different parts of the head. The employer was also reported to have thrown hot water at her. Erwiana was denied medical treatment, even though she was suffering from an allergy and injuries received from the repetitive assaults. Information provided by Eni Lestari, the spokesperson of Justice for Erwiana and All Migrant Domestic Workers Committee to AHRC reveals that Erwiana’s employer only provided her with bread and rice everyday and only allowed her to consume tab water. During her employment, Erwiana was not allowed to sleep at night and could only take a nap for four hours, between 1 – 5 p.m., in the afternoon. Erwiana’s passport was confiscated and even though she had applied for a Hong Kong Identity Card (HKID), she was not given the chance by the employer to collect one. Erwiana was only holding a temporary HKID during her stay in Hong Kong. After working for about a month, Erwiana managed to escape from her employer’s house a month. Desperate for help, she contacted her employment agency, Chan’s Recruitment Agency in Hong Kong. Yet the agency sent its staff to bring Erwiana back to her employer’s house instead of providing her with help. The agency argued that Erwiana could not leave her employer as she had not finished paying off her placement fee. Following Erwiana’s attempt to escape, the employer decided to lock the front door at all times. On 9 January 2014, Erwiana, who was poor health condition, was sent back quietly to Indonesia by her employer. Erwiana was catching a midnight flight purchased by the employer who told her not to speak to anyone at the airport. The employer told Erwiana that she will kill her family in Indonesia if she failed to heed the order. However, Ms. ‘R’, another Indonesian worker who happened to be in the same midnight flight noticed the severe injuries and wounds suffered by Erwiana. According to R, Erwiana’s face was swollen, the skin on her legs and arms skin was peeling and she was unable to walk on her own. Ms. R also learned later that Erwiana was wearing a diaper, allegedly forced on her by the employer. Despite her eight month work, Erwiana did not receive any salary. Before flying her back to Indonesia, the employer only gave her HKD 100 (approximately USD 13 or IDR 150,000). Erwiana is currently receiving medical treatment at a hospital in Central Java, Indonesia. Migrant domestic workers groups in Hong Kong held a peaceful protest in front of the Indonesian Consulate in Hong Kong on 12 January 2014. To the workers, the Indonesian Consul Chalief Akbar Tjandradiningrat promised to provide legal counsel for Erwiana and to demand PT Graha Ayu Karsa to cover the cost of Erwiana’s medical treatment in Indonesia. The Consul also promised to push for a criminal investigation into the case in Hong Kong. On 15 January 2014, the spokesperson of the Indonesian Consulate told the Indonesian media Vivanews that the employer had denied that she had subjected Erwiana to abuse and failed to pay her salary. The Hong Kong police had initially refused to initiate a criminal investigation into the allegations of abuse. On 15 January 2014, the police spokesperson claimed that the case had been transferred to Kwun Tong district crime squad for further investigation. Under the Foreign Domestic Helper policy, employers of migrant domestic workers in Hong Kong are obliged, among others, to provide their worker with a wage not less than the Minimum Allowable Wage (HKD 4,010, approximately USD 517 or IDR 6,410,000), food or food allowance, and free medical treatment. The employers are also obliged to allow their workers a rest day that is not less than continuous 24 hour. None of these obligations were met by the employer of Erwiana, as she had failed to pay Erwiana’s works for eight months, provided her with inadequate food, and did not allow her to have rest days. During her eight months work with the employer, Erwiana only managed to go outside the house twice – once when she was taken to a market by the employer and at another time when she attempted to escape. The abuse experienced by Erwiana, however, is not only a violation of Hong Kong’s law but also her human rights. China (which includes Hong Kong) is a state party to the International Covenant on Economic, Social and Cultural Rights (ICESCR) which guarantees the right of everyone to food, just and favourable conditions of work as well as the right to health – all of which had been infringed in Erwiana’s case. China is also a state party to the International Covenant on Civil and Political Rights (ICCPR) which calls on its members to protect the rights of everyone (including foreigners within its territory and jurisdiction) to liberty and security. According to the ICCPR, Hong Kong government has the obligation to protect the right to liberty of person against deprivations by third parties, as pointed out by the UN Human Rights Committee on its Draft General Comment No. 35. Please write to the Hong Kong and Indonesian authorities below, demanding their intervention into this matter. To the Hong Kong authorities, please call on them to ensure that an independent and effective investigation in this case takes place. To the listed Indonesian authorities, please urge them to pressure the Hong Kong government to hold a criminal investigation into the allegations of abuse. 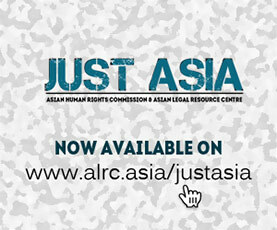 The AHRC and the Justice for Erwiana and All Migrant Domestic Workers Committee in Hong Kong are writing separately to the UN Special Rapporteur on trafficking in person, the UN Special Rapporteur on violence against women, and the UN Special Rapporteur on the human rights of migrants, asking for their intervention in this case. I am writing to voice my deep concern regarding the abuse of an Indonesian domestic worker in Hong Kong, Erwiana Sulistyaningsih, allegedly by her employer. According to the information I have received from Justice for Erwiana and All Migrant Domestic Workers Committee, Erwiana arrived in Hong Kong in late May 2013 to work as a domestic helper for an employer in Tseung Kwan O, New Territories. Her recruitment agency in Indonesia was reported to be PT Graha Ayu Perkasa in Tangerang, whereas her employment agency in Hong Kong was Chan’s Recruitment Centre in Causeway Bay. On 9 January 2014, Erwiana’s employer sent her back to Indonesia despite her poor health condition. 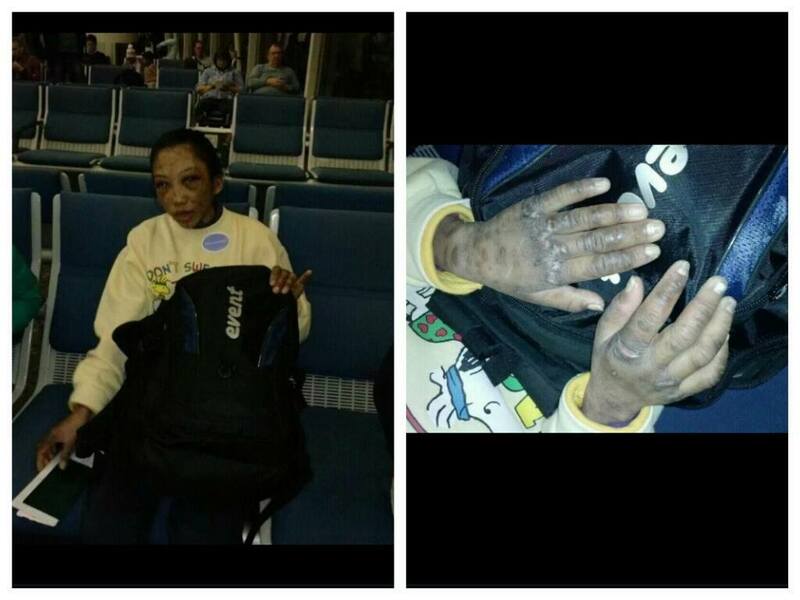 Another Indonesian worker who happened to be on the same flight with her mentioned that Erwiana’s face was swollen, her legs and arm were peeling, and that she was unable to walk on her own. I was informed that during her eight months in Hong Kong, Erwiana was beaten by various objects and repeatedly hit on the head by her employer. The employer had also thrown hot water at her. Erwiana is reported to have an allergy to cold weather in Hong Kong that some parts of her body were producing odour. Yet instead of taking her to the hospital for medical treatment, the employer beaten Erwiana each time her allergy reaction came out. Apart from being subjected to physical abuse, Erwiana was not given her salary for eight months. At the time when she was being sent home, the employer only gave her HKD 100. During her employment in Hong Kong, Erwiana was only provided with bread, rice and tab water. She was not allowed to sleep at night but only to take a nap for four hours in the afternoon. She was denied from her right to rest day, as her employer always locked her in the house. I am outraged not only with the fact that Erwiana had been abused, but also by the reaction of relevant government authorities in Hong Kong and Indonesia. I am aware that the Hong Kong police initially refused to conduct an investigation into this case which it previously categorised as a miscellaneous crime. It transferred the case to Kwun Tong district crime squad for further investigation only after the protests from migrant workers groups in Hong Kong. Meanwhile the Indonesian Consulate General in Hong Kong has promised to blacklist the employment agency in Hong Kong, there has been no sign of investigation will take place against Erwiana’s employment agency in Indonesia, PT Graha Ayu Perkasa, to assess whether the agency could also be held responsible for the abuse. Physical abuse is a crime under Hong Kong law. For this reason, there is no reason can be provoked by the Hong Kong police not to conduct investigate the conduct an investigation on this matter. ‘Lack of evidence’ is not a logical and legitimate reason to dismiss the case, as one of the purposes of the investigation itself is to gather evidence. Should the Hong Kong police are indeed committed to its duty to enforce the law, it is necessary for them to be pro-active in gathering evidence and investigate the abuse allegation. They need to take into serious consideration to visit Erwiana in her house, instead of being passive and wait for her injuries to get healed and for her to fly back to Hong Kong. Criminal investigations in Hong Kong on the abuse allegation should not only be directed against Erwiana’s employer but also her employment agency, Chan’s Recruitment Centre, for complicity. I was informed that in one occasion when Erwiana managed to escape and contact Chan’s Recruitment Centre for help, the agency did not provide help but instead taking Erwiana back to her employer. To ensure that the parties responsible for Erwiana’s abuse are adequately punished, I am calling for the Indonesian government to be pro-active in pressuring the relevant authorities in Hong Kong to conduct an effective and independent investigation on the abuse allegation. The Indonesian government should also treat this case as a reminder to review their current law and policy on migrant workers, and revise it in accordance with its obligations under the International Convention on the Protection of the Rights of All Migrant Workers and Members of Their Families, to which it is a state party. I look forward for your effective and positive response in this matter.